My constant battle for hydrated skin is always something I can't seem to prolong. Maybe it's because of the lack of water intake or my stressful lifestyle but I've been on the search for something that fits my routine. One product out of their line I would really like to talk about today is there Water Sleeping Mask. Clearly, they have changed their packaging and I'm obsessed. It's like this semi see-through blue container and it comes with a clear applicator which makes it very easy and clean to use. I usually apply this all over the face by lightly spreading the product with the applicator and dressing heavier on the areas of my face that are more pore-visible. You then let the product work its magic overnight and you'll wake up with radiant, supple and dewy skin. It is formulated with highly concentrated hydro ionized mineral water and no parabens or phthalates. Overall, I love using this product because it's easy to use - especially for lazy people like me. It has a really de-stressing vibe because when you apply it on, there's this cooling effect on the skin and the scent is absolutely amazing and calming. The texture plays a big part as it feels like a gel but not a coating gel, more so something that absorbs in your skin right away. 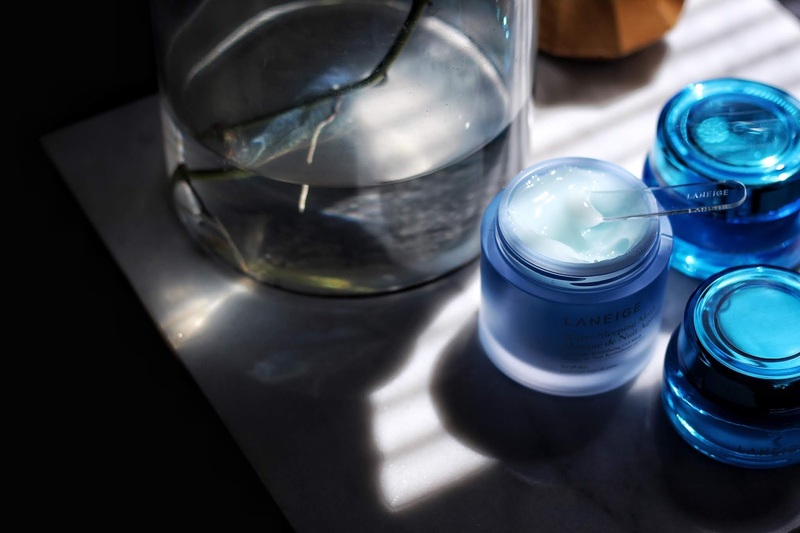 So if you're on a hunt for more hydrated skin, no need to search - I highly recommend Laneige. 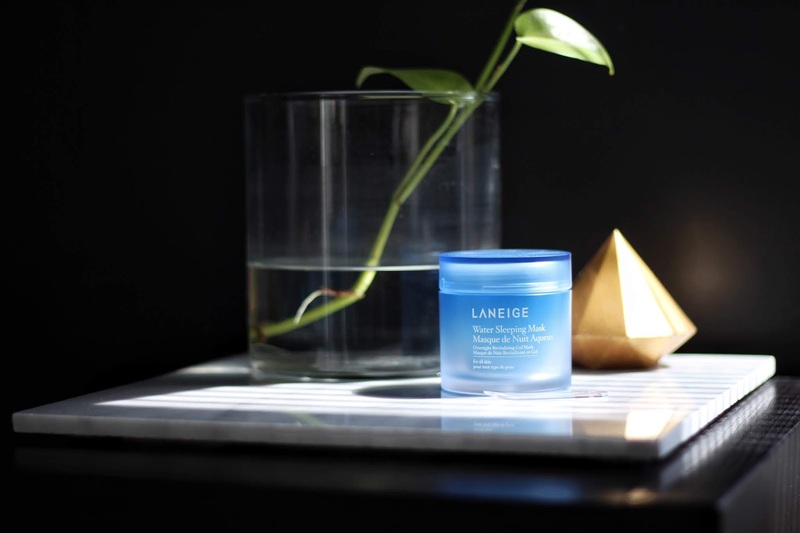 To read more about Laneige Water Sleeping Mask, click here.